The Victorian Farmers Federation (VFF) describes itself as “an active, powerful lobby group dedicated to the interests of farmers and making a difference to communities”. On 5th January 2018, the organisation issued a statement in which it said it had “slammed” key aspects of the Victorian state government’s recently released animal welfare action plan. In what he described as a “stern warning to government”, president David Jochinke condemned the proposal to introduce the concept of sentience to animal welfare legislation. In its action plan, the government had described “sentience” as the notion that animals “experience feelings and emotions such as pleasure, comfort, discomfort, fear and pain”. Similarly, the Oxford dictionary defines the adjective “sentient” as “able to perceive or feel things“. The government’s examples of pleasure and fear are psychological in nature, while comfort, discomfort and pain can be psychological and physical. In condemning the government’s proposal, was Jochinke implying that animals do not experience physical and psychological pain? Alternatively, was he implying that any pain they may experience does not matter? Jochinke claimed the proposal would “introduce language into law that can be manipulated by animal extremists for their own purposes”. It is easy to brand people as “extremists” when they act on the belief that animals have a right to live without being exploited by farmers and others. Are those farmers not extreme when they harm animals? At the present time (as referred to in more detail below), they are permitted to perform acts that would be illegal if they involved a companion animal such as a dog or cat. The “purposes” of so-called “animal extremists” generally involve protecting the interests of animals, unlike the profit motive, at animals’ expense, of most farmers. The term “Cartesian scientists” stems from the seventeenth century philosopher René Descartes, who argued that only humans have minds and therefore the ability to think. His followers took the argument to also mean that animals cannot feel. Like most of us, VFF and its members may be horrified by the actions of Cartesians, as described by Rowlands. However, routine actions of farmers at the current time, with the full support of the law, are also deplorable. Such actions are currently permitted by means of exemptions to the erroneously titled “Prevention of Cruelty to Animals Act”. As I have stated elsewhere, the government continues to outrageously claim the exemptions do not permit cruelty to occur when, by their nature, they do. Here are a few examples (generally performed without pain prevention or relief): hot-iron branding; tail docking; ear notching; teeth clipping; castration; dehorning; removal of toe segments; lifelong confinement indoors (often in cages); forced separation of mothers and babies; and forced breeding, often involving stimulation by humans, penetration with artificial devices, and ongoing confinement. If Vallance is seeking to indicate that horrific routine practices only occur overseas, then his claim is not valid. Such practices have been extensively exposed in Australia, with a prominent example being the Aussie Farms website. Vallance’s concerns about a platform for arguments against farm animal production systems may be well founded. Legislation that acknowledged sentience and was claimed by its authors to promote care and respect of animals, while also allowing acts of cruelty, could be regarded as callous and contradictory. There is no indication in the government’s action plan that it intends removing legislative exemptions. Indeed, the plan appears to strongly support the livestock sector. Even where standards or codes of practice stipulate protective practices, they are often vague and therefore easy to overlook. For example, the Australian Animal Welfare Standards and Guidelines for Sheep specify that “sheep and lambs should be provided with adequate shelter”. They go on to say that, in the absence of natural protection, “consideration should be given” to the provision of shade, windbreaks or sheds. Farmers may briefly consider such measures, without necessarily doing anything about them. 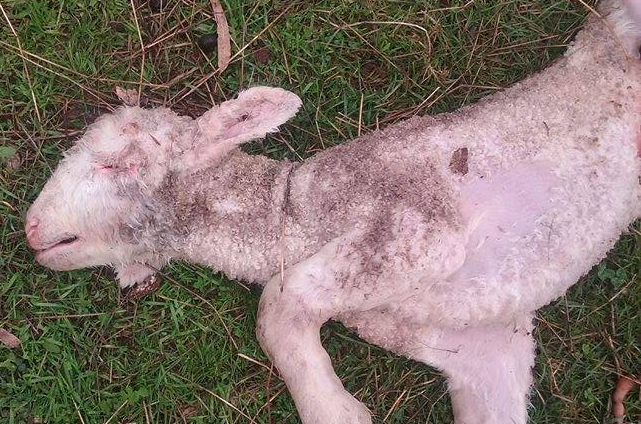 It was estimated in 2012 that around 15 million lambs die each year in Australia within 48 hours of birth due to inadequate protection in bitterly cold conditions. The VFF’s vice president, Brett Hosking, recently released a video on Twitter, expressing concern over the government’s action plan. In it, he appears to have created a new word, “sentenance”. He used it or “sentinent” four times, presumably intending to mean “sentience” and “sentient”. The VFF’s statement argued: “Animal welfare law is about addressing human behaviour towards animals, not addressing animals”. Leonard Vallance made a similar point in his article. That is a fallacious argument, in that it fails to acknowledge the fact that all animals farmed by VFF members are sentient. Hosking and VFF seemingly fail to accept that the existence of animal sentience, and the need to prevent cruel practices, are inextricably linked. With the Victorian government failing to indicate it will remove legislative exemptions in favour of the livestock sector, along with the VFF’s attitude toward sentience, what chance do “production” animals have of avoiding cruelty? The most effective way to minimise cruelty in food consumption is to avoid animal-based products. We have a choice, and should use it for the benefit of those who have none. Thanks, Paul. One of the good things about this topic is that ‘farmed’ animals are given notice/publicity. VFF is obviously in damage control, pushing their psychologically warped agenda and their woeful propaganda. farmer. The VFF arguments reek with hypocrisy, deceit, and self interest. They call us activists ‘extreme’, simply to downplay our activism. They can use whatever language they like, it does not change the reality, and thanks to social media, undercover filming, we know the ugly truth which threatens them. As for the Vic. government, it is just as corrupt and deceitful. It probably depends on agribusiness for funding and profit. Thanks once again Paul for a well argued and clear response to the VFF. Thanks as always for your feedback and support Susan. I’m having an indefinite break from the website and Facebook page, but hope the material that’s already here will help to make a difference. Thanks Jim. I’m actually taking an indefinite break, but hopefully this post and others on the site will contribute meaningfully to the discussion.